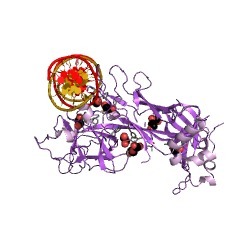 Members of this family are found in various eukaryotic hypothetical proteins and in the DNA-binding protein LAG-1. 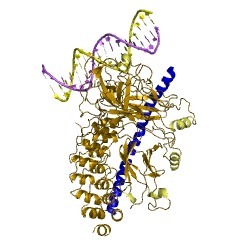 They adopt a beta sandwich structure, with nine strands in two beta-sheets, in a Greek-key topology, and allow for DNA binding (PUBMED:15297877). 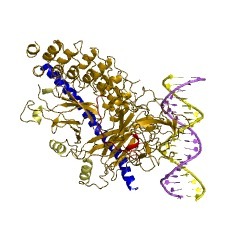 This domain is also known as RHR-N (Rel-homology region) as it related to Rel domain proteins. 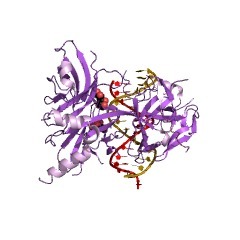 This domain is found in RBP-J from human and Cbf11/Cbf12 from fission yeast. 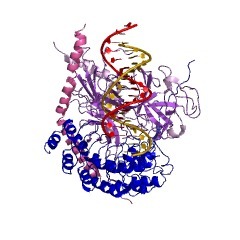 These proteins function as transcription factors [(PUBMED:19101542), (PUBMED:23303788)]. 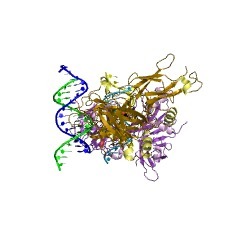 This domain adopts a beta sandwich structure, with nine strands in two beta-sheets, in a Greek-key topology, and allow for DNA binding [(PUBMED:15297877)]. There are 1473 LAG1_DNAbind domains in 1470 proteins in SMART's nrdb database. Taxonomic distribution of proteins containing LAG1_DNAbind domain. This tree includes only several representative species. The complete taxonomic breakdown of all proteins with LAG1_DNAbind domain is also avaliable. Click on the protein counts, or double click on taxonomic names to display all proteins containing LAG1_DNAbind domain in the selected taxonomic class. 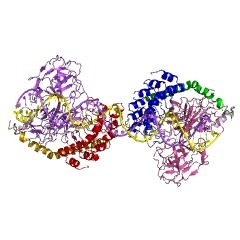 Crystal structure of the nuclear effector of Notch signaling, CSL, bound to DNA. Notch signaling is a conserved pathway of communication between neighboring cellsthat results in cell fate specification, and CSL is the universal transcriptionaleffector of Notch signaling. The Notch intracellular domain translocates to thenucleus after proteolytic release upon Notch extracellular engagement, and there it displaces corepressors from DNA-bound CSL and recruits activators of Notchtarget genes. 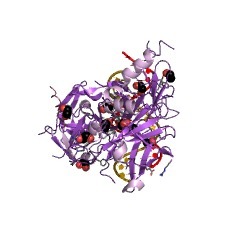 Here we report the 2.85 A crystal structure of CSL with a targetDNA. 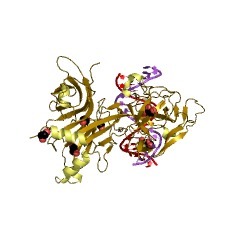 CSL comprises three structurally integrated domains: its amino (NTD)- andcarboxy (CTD)-terminal domains are strikingly similar to those of Reltranscription factors, but a surprising beta-trefoil domain (BTD) is insertedbetween them. 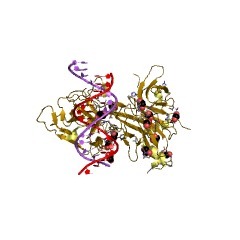 CSL-bound DNA is recognized specifically by conserved residues fromNTD and BTD. 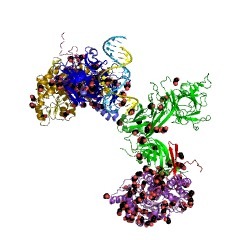 A hydrophobic pocket on BTD is identified as the likely site ofNotch interaction with CSL, which has functional implications for the mechanismof Notch signaling.